Black & White: Happy Wesak. May peace and good health be with you. Happy Wesak. May peace and good health be with you. This Sunday 3 May, 2015, Malaysia celebrates Wesak Day, The Buddhist thrice blessed holy day. Elsewhere this year, Wesak Day is on 1 Jun. Why? Usually, Wesak is celebrated on the first full moon day in the month of May, which usually will be the 15th day of the fourth Chinese lunar month. But this year the fourth Chinese lunar month full moon day falls on 1 June. Thus the difference. A lot of so-called Buddhists do not really understand the pristine teachings of the Buddha. That results in wrong interpretations and understanding of what Buddhism is. 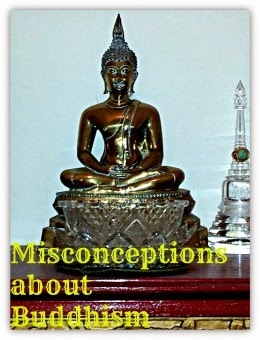 Below is an article I wrote on the misconceptions about Buddhism. Hope on this auspicious Wesak Day this article may provide better understanding of Buddhism. Happy Wesak to all my Buddhist friends. May everyone have good health and inner peace.